Dell has been among the fastest growing technology companies in India and continues to be among the top three today. It has proven to be trusted technology solutions partner to large enterprises, public sector, small and medium businesses and home users. Dell is focused on being an end to end solution partner to its customers and provides a host of products and solutions including laptops, desktops, servers, storage, networking, electronics, software and accessories to the important SMB market in India.Dell is the first brand in India to engage in successful and ongoing online conversations with the diverse SMB audience on LinkedIn. 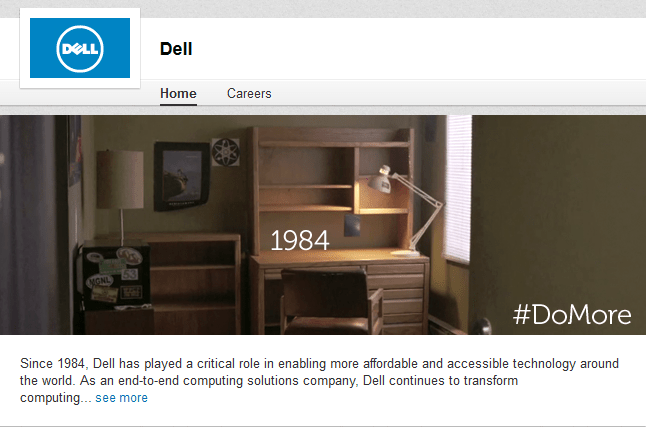 • For a richer and total experience with SMBs, Dell created a LinkedIn Customer Group community called ‘More Growth’.